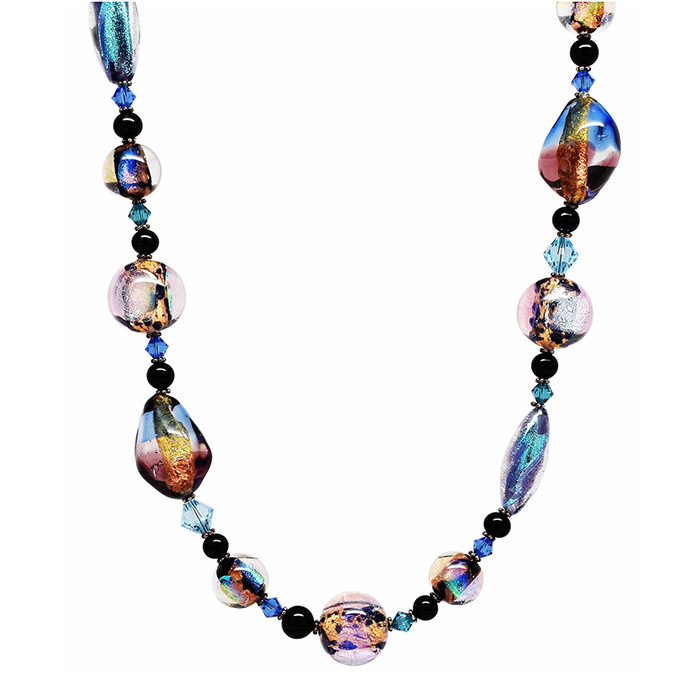 This necklace is an over-the-top piece featuring handmade Murano Glass Beads infused with Dichroic Glass. The necklace is 24 inches in length with a 2 inch extender. 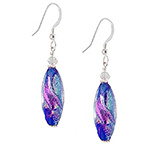 A one-of-a-kind piece you would find in art galleries. 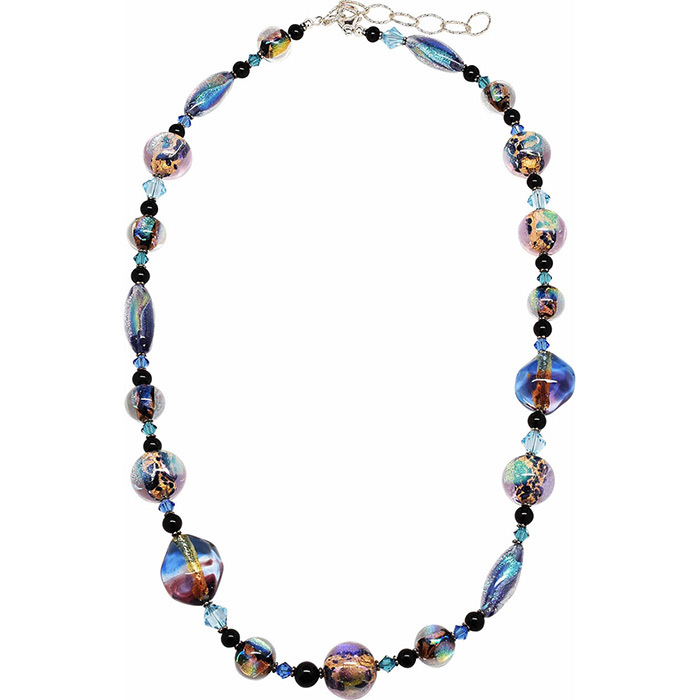 The beads are made for us in Murano and we assemble the necklace here in our laboratory.